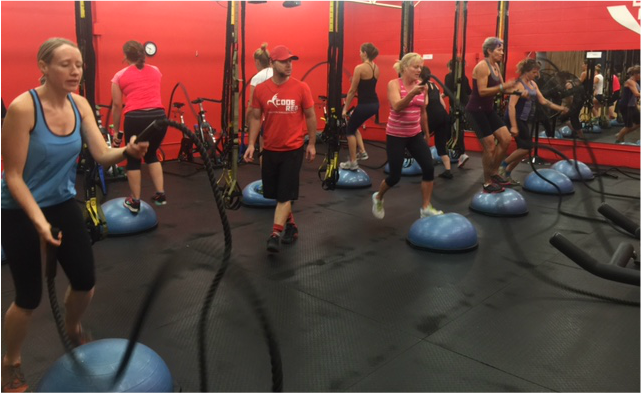 Code Red Classes are now at Life Works Gym! Book A Code Red Spot Here! Burn calories and torch fat all day long, even when you aren’t working out! If you think this sounds like a cheesy tagline for a scary diet pill, then you’ve probably never heard of excess post-exercise oxygen consumption (try saying that three times fast!). Also known as EPOC, it’s the scientific term for the afterburn effect, which can help you burn more calories long after you’ve left CODE RED! To burn a lot of fat. CODE RED is for all levels, there are always 3 levels demonstrated per exercise. Neil Fox, founder and owner of Life Works Gym is the recent recipient of the Award of Merit from the Canadian Professional Trainers Network. This award is earned by the degree of accomplishments over the career of Personal Trainer. With his extensive experience along with a Bachelor Degree in Kinesiology, you are guaranteed to have an optimal fitness experience with CODE RED.